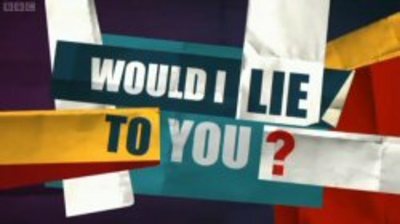 Would I Lie To You is a British comedy panel show on which contestants read out statements and the opposing team have to guess whether they are telling the truth or lying. If you're a fan of the show, what is the most entertaining lie you have heard told by one of the contestants? Oh I DO watch this one sometimes and find it very entertaining, however I would not be able to just pick out one lie, nor would I remember them! I love the part where the stranger comes out and they all have to make up a story about that person - i think that is funny and clever and I wonder if they are given the answers rather than they make them up themselves? No, I couldn't get into it! Has an Au version now been made? Not as far as I know. I was watching the UK show on the ABC. This is a great show, althoygh I don't watch it much now. I can't remember a specific lie at the moment, but the best ysually come from David Mitchell. Actually the best ones are usually the truths because they are so unbelievably funny or outrageous.